(CBS News) As Mitt Romney kicks off his European trip Wednesday with a visit to London, the Romney campaign is dismissing a report from the U.K.'s Daily Telegraph that an adviser to the campaign made comments suggesting the Republican presidential candidate's commitment to rebuilding the so-called "special relationship" between England and the United States has to do with a sense of "Anglo-Saxon heritage." Later on Wednesday, Romney elaborated on her response, asked about the quotes in an interview with NBC's Brian Williams. "I'm generally not enthusiastic about adopting the comments made by people who are unnamed. I have a lot of advisers," he told Williams. "Actually we've gone from calling the rope line where I shake hands every day to the advice line. Because you have a lot of people that offer advice. So I'm not sure who this person is." 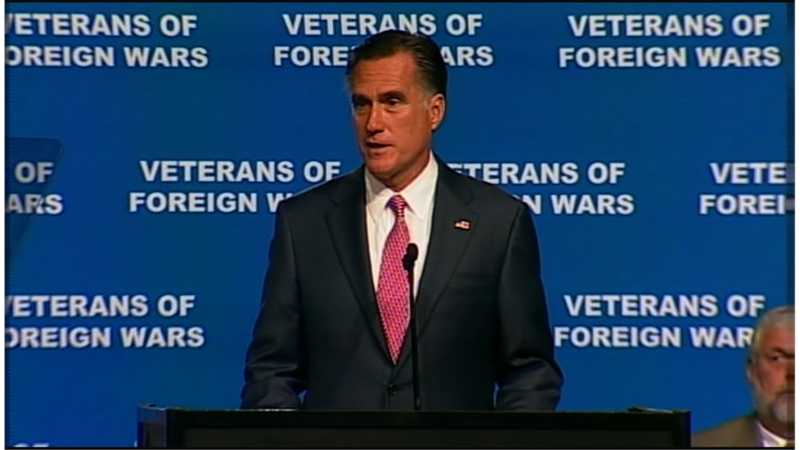 Romney added: "But I can tell you that we have a very special relationship between the United States and Great Britain. It goes back to our very beginnings -- cultural and- and historical. But I also believe the president understands that. So I- I don't agree with whoever that adviser might be." Despite questions about the identity of the source, liberal commentators seized on the quote for its racial subtext: That Mr. Obama cannot understand the depth of the relationship between the two countries because his father is from Kenya. In a statement, Vice President Joe Biden charged the Romney campaign with using the trip abroad to "score political points." "Despite his promises that politics stops at the water's edge, Governor Romney's wheels hadn't even touched down in London before his advisors were reportedly playing politics with international diplomacy," he said in the statement. "This assertion is beneath a presidential campaign." David Axelrod, a top campaign adviser to the president, called the quotes "stunningly offensive" on Twitter. "Mitt's trip off to flying start, even before he lands, with stunningly offensive quotes from his team in British press," he wrote. The Romney campaign, meanwhile, hammered Biden for paying credence to the quote, and accused him of attempting to "divert voters' attention with specious shiny objects." "Today, the race for the highest office in our land was diminished to a sad level when the Vice President of the United States used an anonymous and false quote from a foreign newspaper to prop up their flailing campaign. The President's own press secretary has repeatedly discredited anonymous sources, yet his political advisors saw fit to advance a falsehood," said Romney spokesman Ryan Williams in a statement. "We have more faith in American voters, and know they will see this latest desperate ploy for what it is." One unnamed adviser in the Telegraph story, allegedly a member of Romney's foreign policy advisory team, also accused Mr. Obama of being "a Left-winger" who is "very comfortable with American decline."